Venus, affected by an energy-sapping illness, hadn’t advanced past the third round of any grand slam tournament since Wimbledon in 2011. Now a quarter-final win could put the seven-time major winner into a potential semi-final against her younger sister. 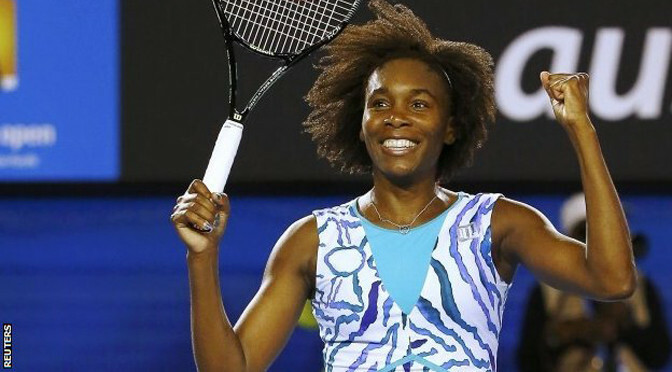 After she recovered an early break in the third, Venus Williams dominated the rest of the match and clinched it with an ace to set up a match against fellow American Madison Keys. The No.10-ranked Cibulkova pounded 44 winners and broke former world No.1 Azarenka’s serve seven times to reach a grand slam quarter-final for the sixth time. She lost the final here last year to the now-retired Li Na, and is back in that kind of form. Keys advanced to her first grand slam quarter-final with a 6-2 6-4 win over good friend Madison Brengle. It was the first time since Jennifer Capriati played Amy Frazier at the 2002 US Open that two Americans besides the Williams sisters played each other this late in a grand slam. 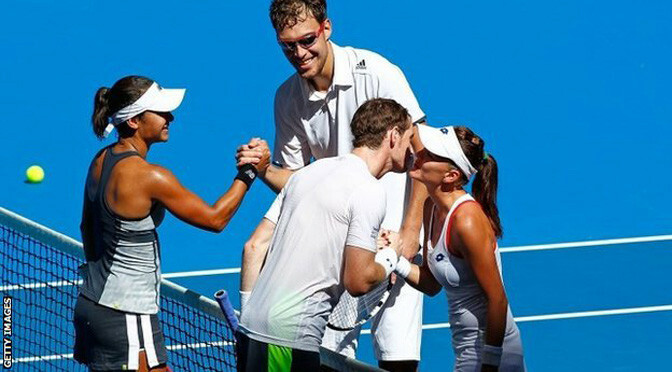 Andy Murray and Heather Watson suffered mixed doubles defeat as Great Britain lost 2-1 to Poland in the Hopman Cup. Watson, 22, lost the opening rubber 6-3 6-1 to Agnieszka Radwanska, but Murray, 27, levelled the tie with a 6-2 6-4 win over Jerzy Janowicz in Perth. But the British duo lost the mixed doubles 6-4 6-4 as Group B leaders Poland remained undefeated. Britain will play Australia on Friday, with only the group winners reaching Saturday’s final. Poland, who are the only team in the group not to lose, will qualify for the final if they beat France on Friday. The format guarantees all the players at least three singles matches as they prepare for the Australian Open, which begins in Melbourne on 19 January. 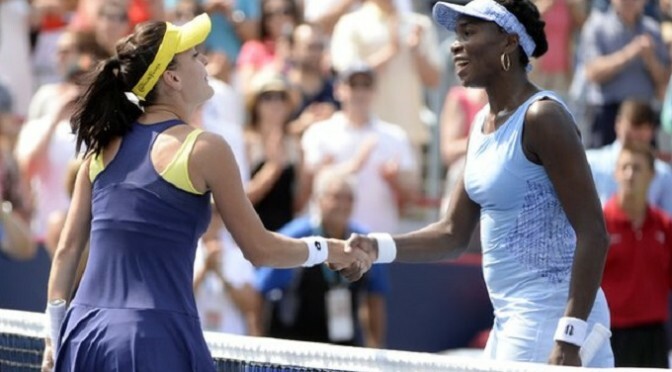 Agnieszka Radwanska swept aside Venus Williams to win the women’s singles title at the Rogers Cup in Montreal. The Pole won 6-4 6-2 in 82 minutes to clinch her 14th WTA title. “I really had an amazing week,” said Radwanska, 25, who defeated Victoria Azarenka and Ekaterina Makarova on her run to the final. The win gives Radwanska her first tournament victory of 2014 and will be a boost for the world number five ahead of the US Open later this month. Radwanska took control of the match early on against an erratic Williams, racing into a 4-1 lead and holding her nerve to close out the first set. And Williams, who defeated her sister Serena in a three-set semi-final on Saturday, was no match for the energetic Pole in a one-sided second set. Despite the defeat, Williams, who is expected to return to the top 20 in the world rankings, refused to be downbeat about her performance.